Google Apps, now G Suite is a SAAS (Software as a Service) application provided by Google. The G Suite users are provided with various applications as a Suite of programs. It allows the users to work in groups from different geographical locations at the same time. There are three types of G Suite account with respect to the several purposes. The 3 types of Google Apps service provided by Google are Google Apps for Work,Google Apps for Education and Google Apps for Non-Profit Organizations. GAFE (Google Apps for Education) is an application provided by Google for schools and Educational institutions free of cost. It provides facility for communication and collaboration of activities done by students and faculties for the better assessment of student activities. There are a number of services provided by Google Apps for Education like Sheets, Classroom, Slides & Forms, Sites, Hangout, Vault, Calendars etc. which are exclusively designed with respect to the needs of the faculties and students. There arises a query regarding Data Storage and Data Security after having Google Apps for Education account. In the case of deletion or loss of data, the mailbox data from GAFE account should be backed up. This article discusses about the ways to carry out Google Apps local backup in simple and easy manner. 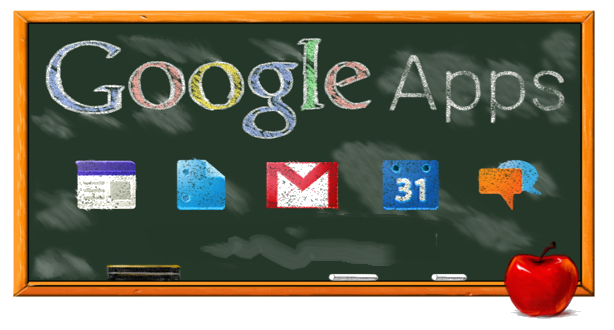 Why Create Google Apps for Education account instead of Gmail account? There are a hell lot of reasons by which schools and Educational Institutions use Google Apps for Education instead of Gmail. Teachers and students are allowed to interact with a storage service that lets multi user editing, syncing, etc. There are several solutions for Google Apps for Education backup. Google Takeout is a free to use utility provided with every Google account to create archive of Google account data like mailbox, documents, drive data, hangouts, etc. By using this, the emails will be downloaded as MBOX files which could be imported to any MBOX supporting email clients such as Thunderbird, Apple Mail, Opera mail, etc. The main issue with this is that MBOX files are not supported by every email client (for eg: Outlook which supports PST) and cannot be used in easily. Also the time needed to create archive can be longer (hours/ days) with respect to the size of the data. Sync Google Apps for Education data with Outlook account using GSSMO and create the backup of the GAFE mailbox data in Outlook PST format, which could be imported to any Outlook account. Easy retrieval & access of mailbox data in case of any natural disasters, accidental deletion, malware attack, server issues, etc. Referring the above manual methods and their merits & demerits, it is advised to use any third party solution. Many automatic solutions are available in the market, of which one of the best is SysTools Google Apps Backup tool. It lets the users to take the backup of mailbox data in PST, EML, MSG & MBOX file format. From this write-up, it may be concluded that, in order to secure GAFE account mailbox data from losses or accidental deletion we have to perform Google Apps for Education email migration. The methods available for Google Apps for Education email archiving is explained in the above article.